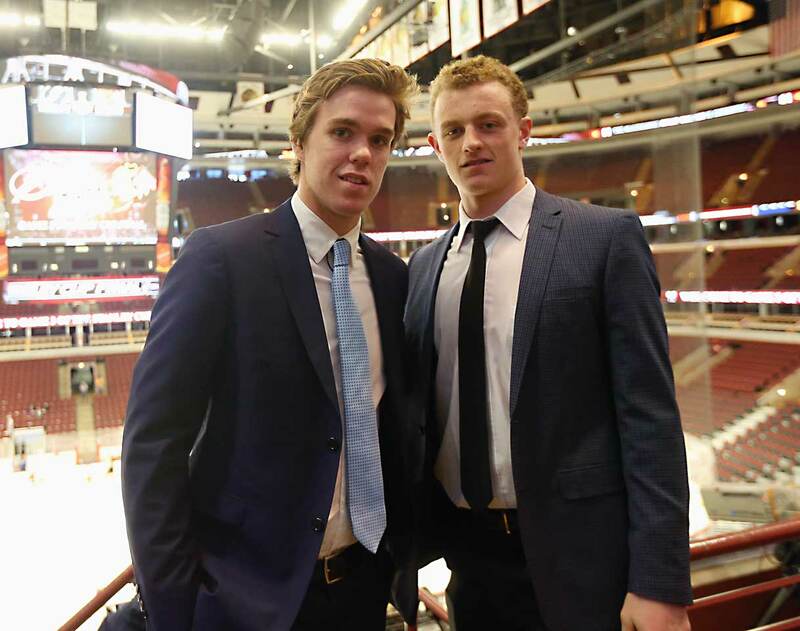 With Connor McDavid and Jack Eichel making their debuts, NHL scouts rate the rest of the league's rookie class. Scout’s take: “Not as dynamic as Virtanen, but he's a guy that can win you games. Excellent hockey sense, sees the ice exceptionally well, has a knack for finding a hole in traffic that allows him to set up his teammate. Very dedicated to [improving his game]." The kid was as good as expected (13-28-41 in 61 games), winning the Calder Trophy and launching a blue line revolution with his skating, passing, dynamic rushes and solid defense. Norris winner Harry Howell prophetically said, “I might as well enjoy it now because I expect it’s going to belong to Bobby Orr from now on.” He was right. Orr won it in each of the next eight seasons. In his first NHL season, the Great One scored 51 goals and led the league with 86 assists and 137 points, good for the Hart and Lady Byng trophies, but not the Calder. 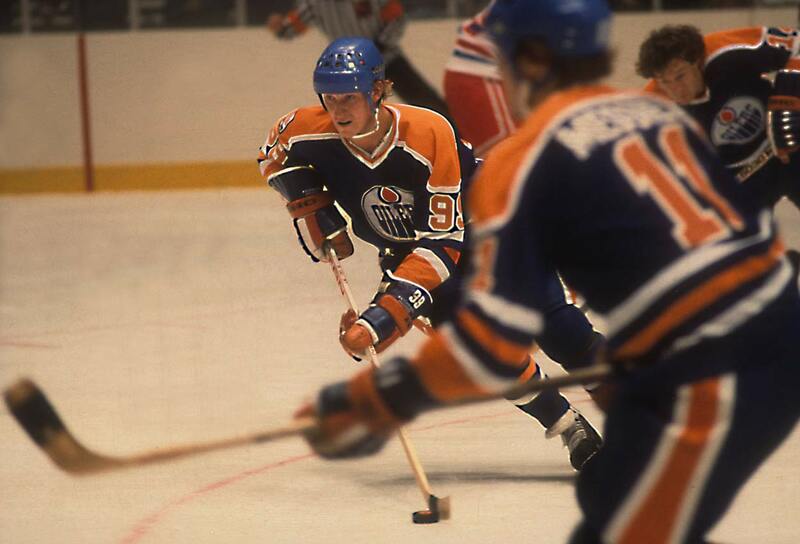 His previous season in the rival WHA made him ineligible for rookie of the year, which went to another 19-year-old. The eighth pick in the ’79 draft launched his Hall of Fame career by going 17-48-65 with a dazzling +52 to earn Norris votes, a first team NHL All-Star nod and the distinction of being the answer to a trivia question: Who won the Calder during Wayne Gretzky’s first season in the NHL? The Canadian Major Junior Player of the Year was the first pick in the ’81 NHL draft after his 81-goal, 183-point season in the QMJHL. An agile, quick playmaker and scorer, Hawerchuk won the Calder by becoming the first NHL rookie to post a 40-goal, 100-point campaign. He went on to become a Hall of Famer. 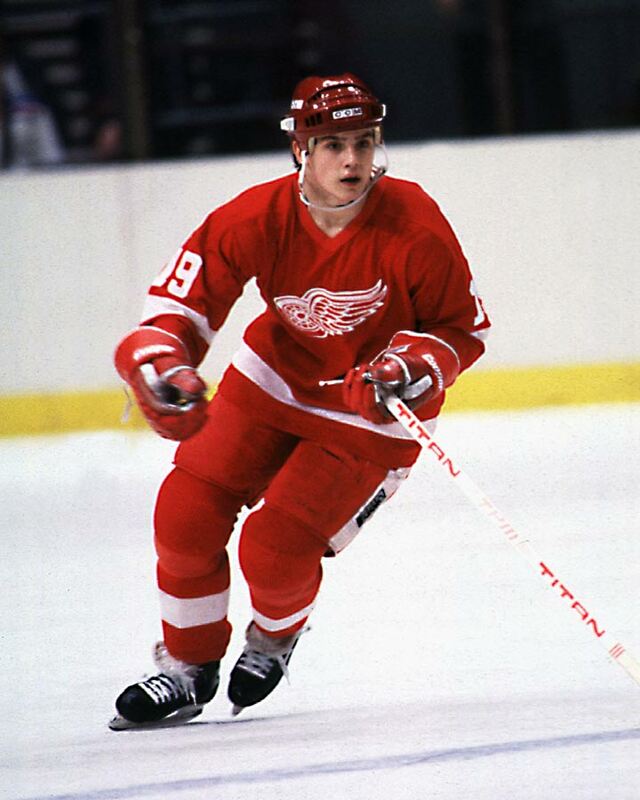 The fourth pick of ‘83—after Brian Lawton (North Stars), Sylvain Turgeon (Whalers) and Pat LaFontaine (Islanders)—Yzerman was undersized, highly skilled and gritty. 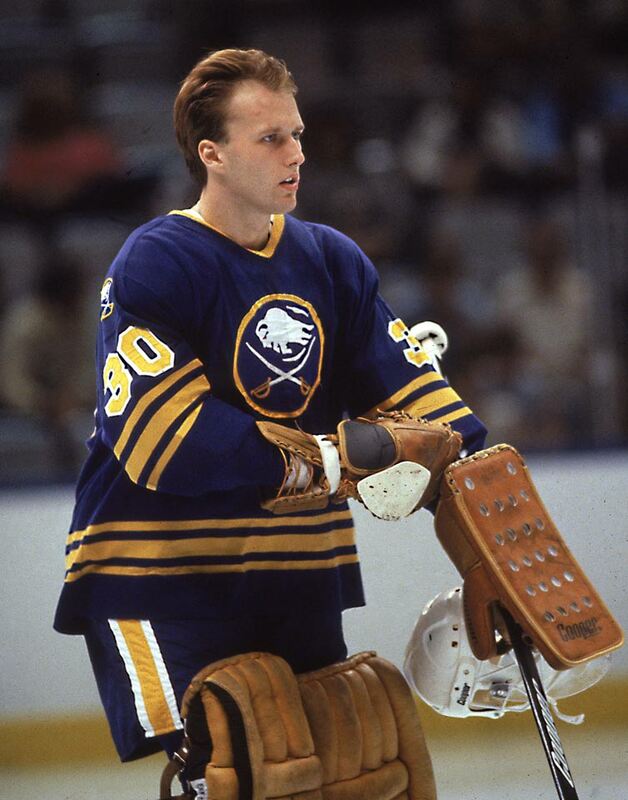 He had to win a job in training camp, but stuck and went 39-48-87 in 80 games, finishing second in the Calder race behind Sabres goalie Tom Barrasso. Entering the NHL out of high school, the fifth pick in the ’83 draft became the first goalie to win the Calder since Canadiens legend Ken Dryden in 1972, going 26-12-3, with a 2.84 GAA and .893 save pct. in 42 games. His performance also earned him the Vezina, first team All-Star honors, and a spot on Team USA for the ’84 Canada Cup tournament. 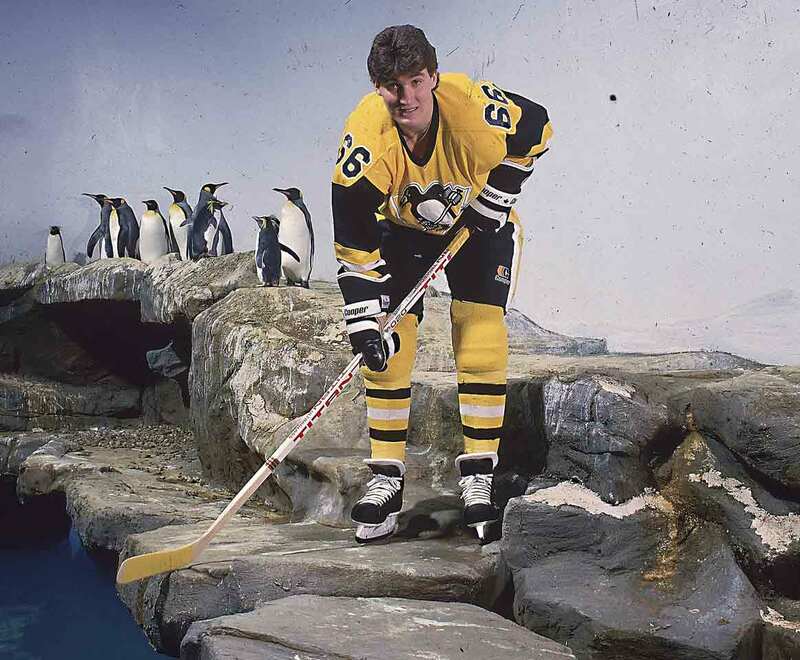 After the towering Super Mario posted a mindblowing 133 goals and 149 assists in his final junior season, it was easy to believe the Penguins tanked to secure the first pick in the ’84 draft. (There was no lottery at the time.) Lemieux scored on his first NHL shift and took the Calder with his 43-57-100 rookie season. 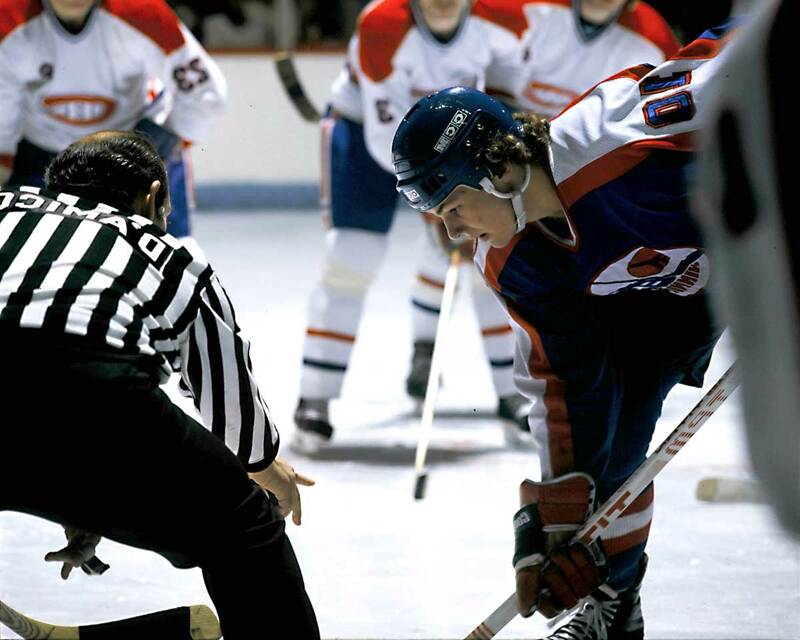 An American out of the QMJHL where he scored 104 goals and 234 points in only 70 games, LaFontaine was drafted third in ‘83. He played for Team USA at the ’84 Olympics before making his NHL debut with 13 goals in 15 late-season games, then helped the Isles reach the Stanley Cup Final. As 19-year-old rookie in ’84-85 he went 19-35-54 in 67 games, going on to a Hall of Fame career that was cut short by concussions. 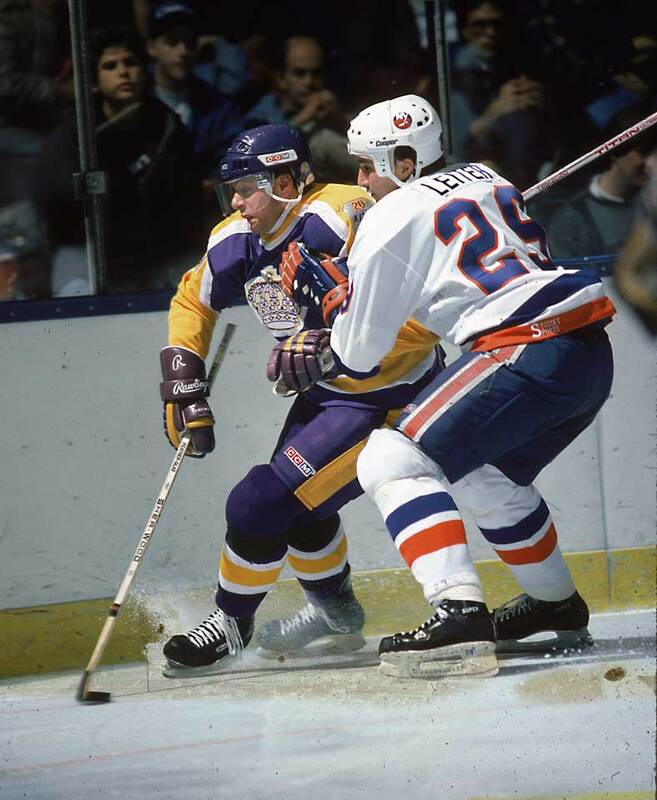 Remembered as the Kings’ key player in their trade for Wayne Gretzky, Carson was the second pick in the '86 draft, after winger Joe Murphy (Detroit). A natural scorer with a mostly one-way game, Carson produced 39 goals and 79 points as a rookie, finishing behind teammate Luc Robitaille and Flyers goalie Ron Hextall in the Calder voting. At 19, he scored 55 goals and 107 points before being dealt. His career was brief, though, and he retired at 29. 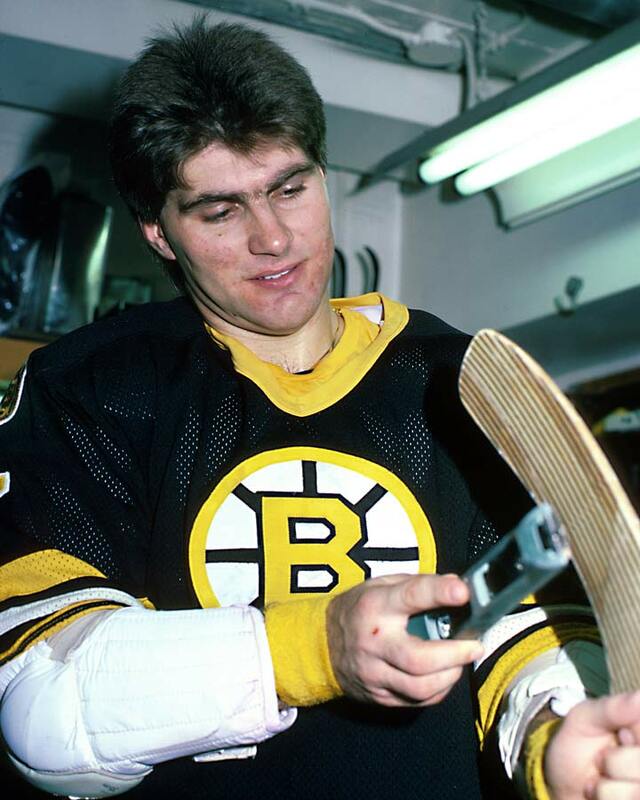 One of the greatest American players of all time, the speedy, explosive center with the lethal shot was the first pick in 1988 out of the WHL and Team USA. 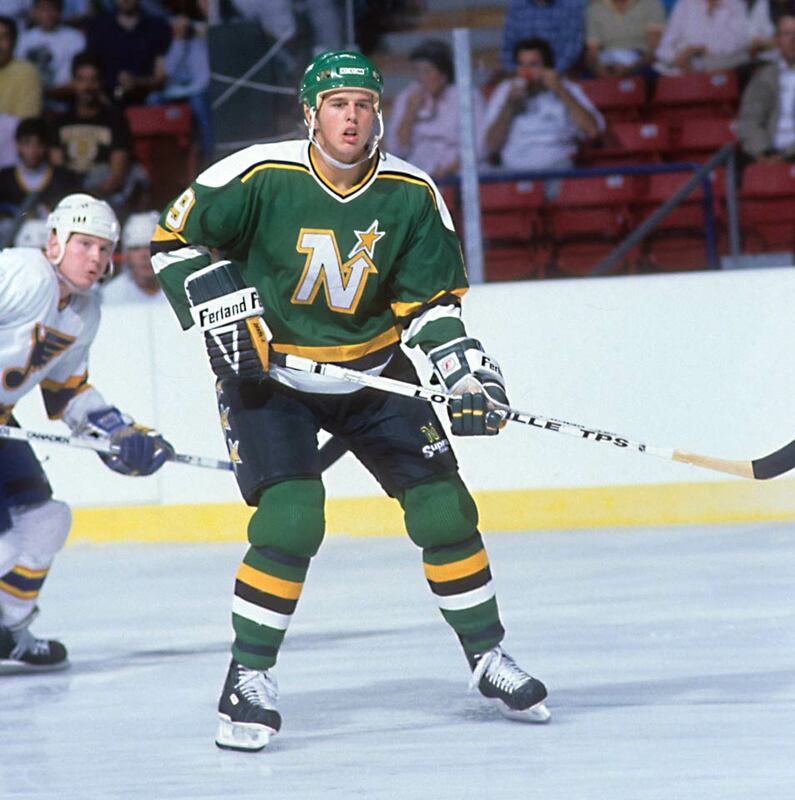 Modano made his NHL debut during the 1989 playoffs and then went 29-46-75 the following season, finishing second to 31-year-old Sergei Makarov of the Flames in the Calder voting. 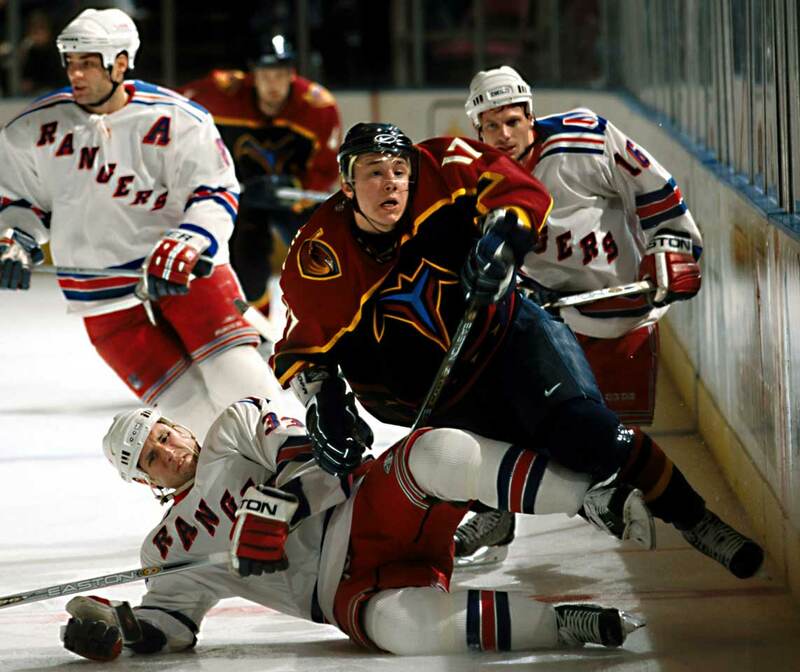 The Next One was a junior superstar when he was chosen first by Quebec in the 1991 draft but infamously fought for the trade to Philadelphia that sent Peter Forsberg and a parcel of players the other way. 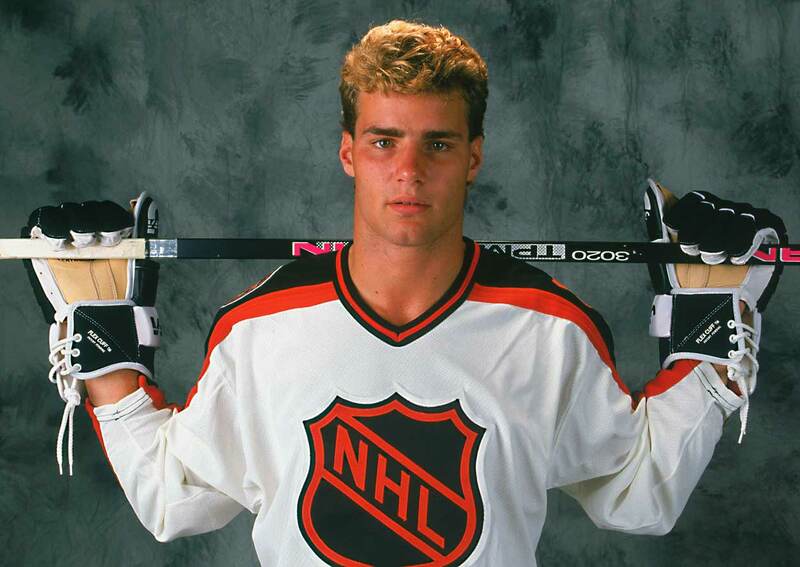 Big, strong and offensively gifted, Lindros scored 41 goals and 75 points for the Flyers but finished fourth in the Calder vote won by Teemu Selanne who’d set the NHL rookie record of 76 goals with the Jets. After 86 goals and 217 points in two QMJHL seasons, the speedy, skilled 6’ 4” center was drafted first in 1998 and billed by the Lightning’s owner as a potential Michael Jordan of hockey. 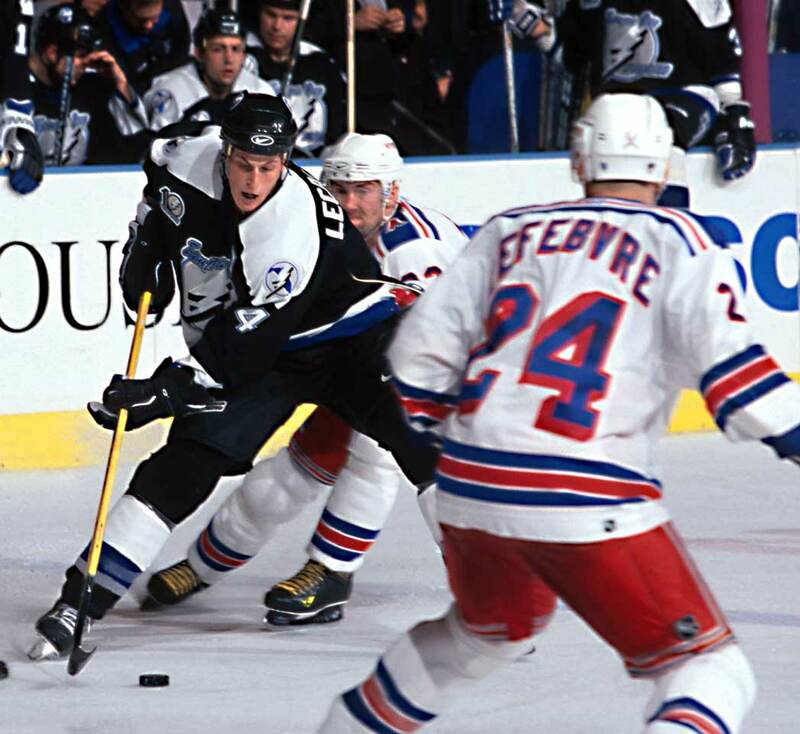 Lecavalier had a modest rookie campaign (13-15-28, -19 in 82 games) and was a distant 14th in the Calder voting, but he improved to 25-42-67 the following season and was named the NHL’s first teenaged captain. An international star, he was the first Russian ever chosen first in an NHL draft (2001). He went 29-22-51 in 65 games as a rookie but suffered a shoulder injury and finished second in the Calder vote behind Thrashers teammate Dany Heatley, 21. A fast, exceptional puckhandler and explosive scorer, Kovalchuk upped his goal (38) and points (67) totals at 19, setting up a run of six straight 40-plus goal seasons. The grand prize in the 2005 lottery, Sid The Kid was a bona fide prodigy who was compared to Wayne Gretzky. Crosby scored 39 goals and 102 points as a rookie but the Calder went to a 20-year-old named Ovechkin. The next season, at 19, Crosby won the Hart, Pearson and Ross trophies with a 36-84-120 slate that made him the youngest NHL scoring champ of all time. He also became the NHL’s second teen captain. 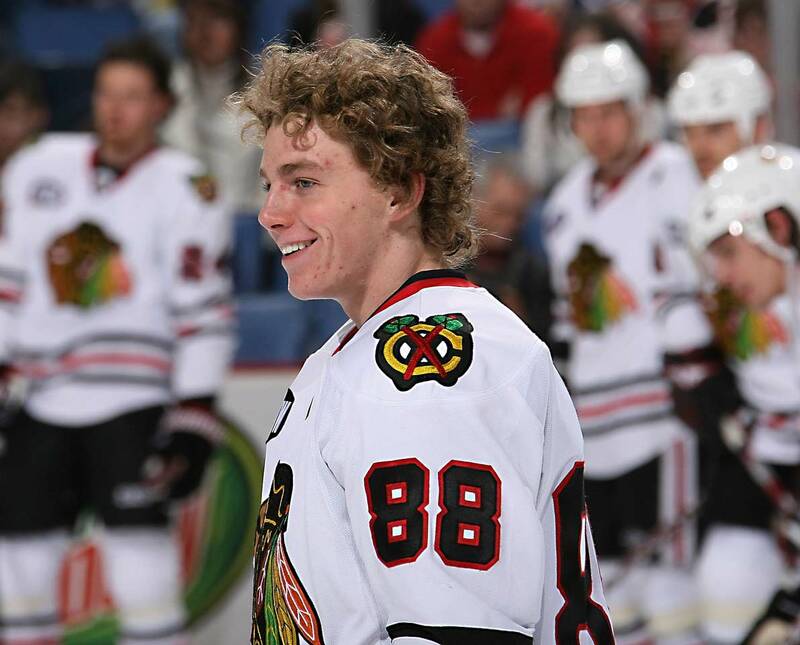 An American stickhandling wizard out of the OHL, Kane was the first pick in the 2007 draft. He dispelled concerns about his size (5’ 9”, 160) by playing in all of Chicago’s 82 games, going 21-51-72 and beating out 19-year-old teammate Jonathan Toews and Washington’s Nicklas Backstrom for the Calder. 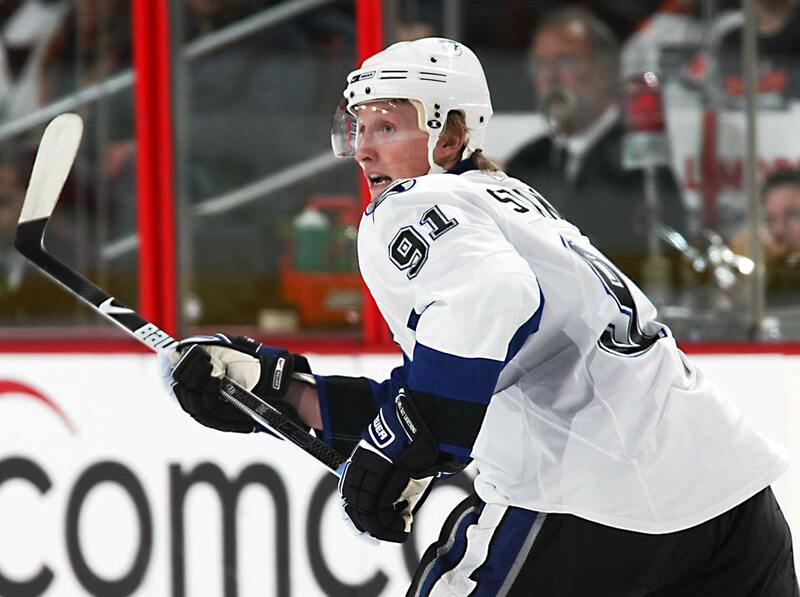 “Seen Stamkos?” the billboards in Tampa asked after the Lightning took the coveted sniper with the first pick in the 2008 draft. His rookie season was solid if unspectacular (23-23-46, -13) and he finished ninth in the Calder voting, but the next season, at 19, Stamkos hit the 50-goal mark, leading the NHL. 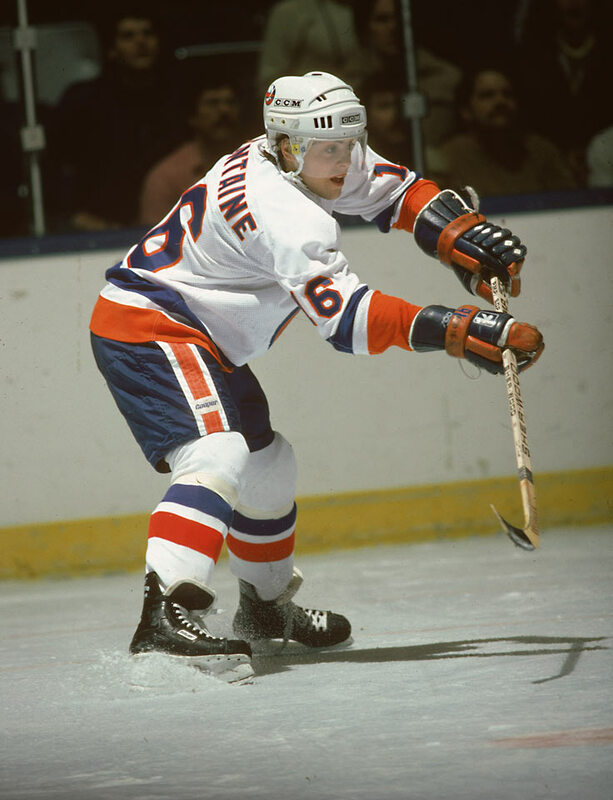 The first player to be given “exceptional” status by the OHL (making him eligible to play a year early at 15), Tavares broke Wayne Gretzky’s league mark for goals by a 16-year-old, with 72. The first pick in the 2009 NHL draft, he went a solid 24-30-54 for the Islanders and finished fifth in the Calder voting won by towering 19-year-old Sabres defenseman Tyler Myers, the 12th selection. 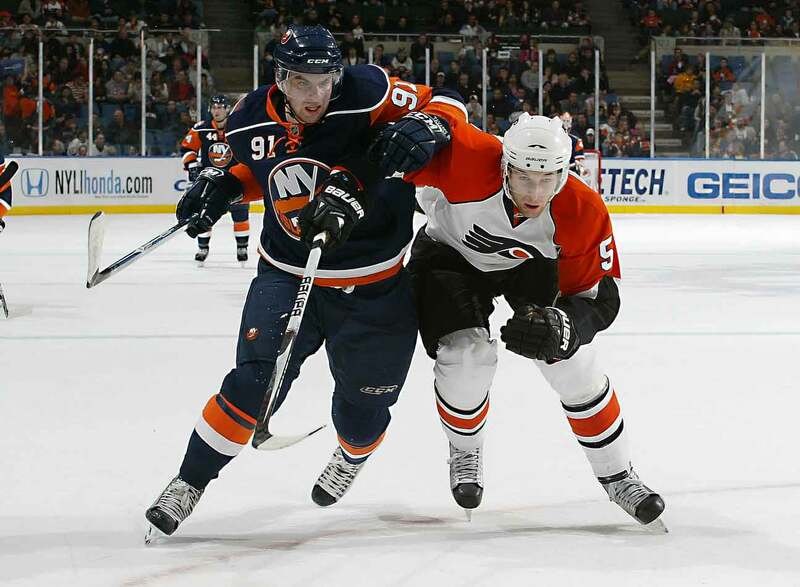 The highly regarded Swedish defenseman was the second pick after John Tavares. 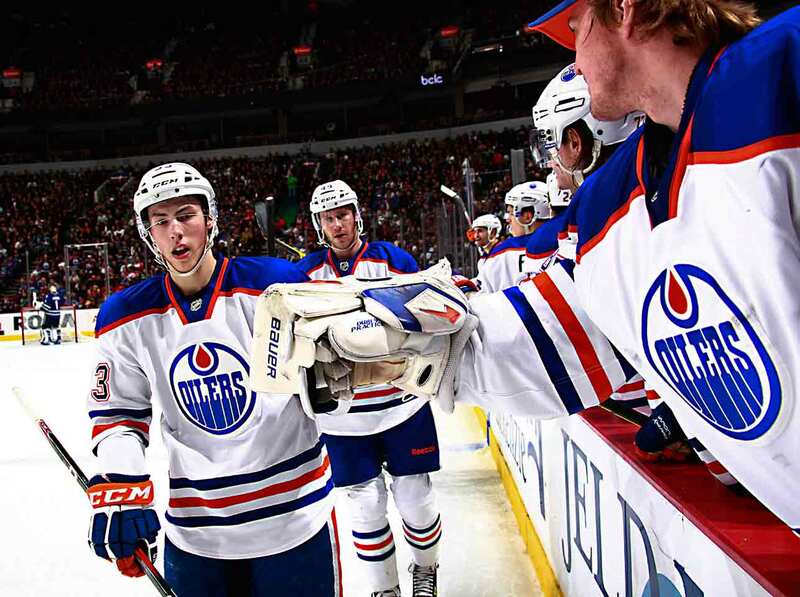 Big (6’ 6”, 230) and blessed with all-around skills that invited comparisons to Chris Pronger and Zdeno Chara, he patterned his game after Red Wings great Nicklas Lidstrom. Hedman finished ninth in the Calder voting after a 4-16-20, -3 rookie campaign and needed several seasons to mature into the star and cornerstone everyone expected he would become. The big question on draft night 2010 was Taylor or Tyler (Seguin)? Hall, the big, speedy winger who’d posted 106 points in 57 OHL games, was the first pick. 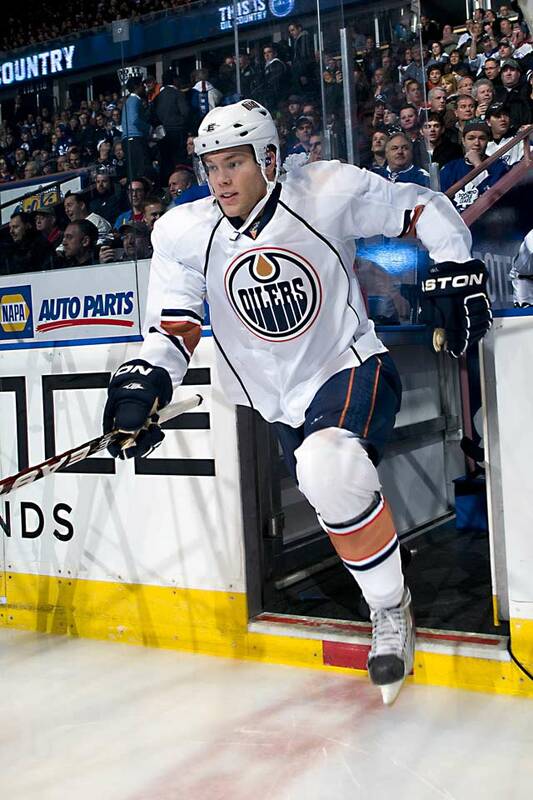 He went 22-20-42 in 65 games with struggling, rebuilding Edmonton, his season ended by an ankle sprain in March. The Calder was won by Carolina’s 18-year-old Jeff Skinner (31-32-63), the seventh overall pick. The OHL MVP was the second pick in the 2010 draft. 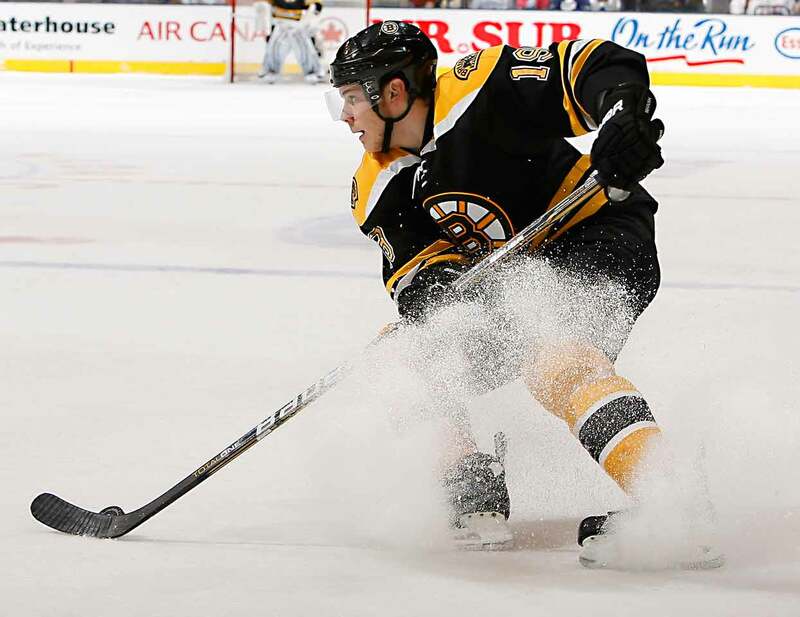 A creative playmaker and scorer with a defensive upside, Seguin put up modest numbers (11-11-22 in 74 games) under the weight of great expectations, received no Calder votes and spent Boston’s first 11 postseason games as a healthy scratch. When he saw action, he became the first teen to score four points in a playoff match (Eastern final Game 2 vs. Tampa Bay). A deft playmaker, the top pick of 2011 tied for first in rookie scoring (18-34-52 in 62 games) but finished second behind Colorado’s Gabriel Landeskog, 19, for the Calder, only the third time teens were 1-2 in the voting, and first since Bryan Berard and Jarome Iginla in ’97. Three others earned votes: Hurricanes defenseman Justin Faulk, 19, Flyers center Sean Couturier, 19, and Devils blueliner Adam Larsson, 19. A natural leader, the calm, skilled winger who captained Sweden’s U-16, U-17 and U-18 teams was the second pick in 2011 draft. The only member of his rookie class to play all of his team’s 82 regular season games, he won the Calder by going 22-30-52 with a stellar +20 rating. 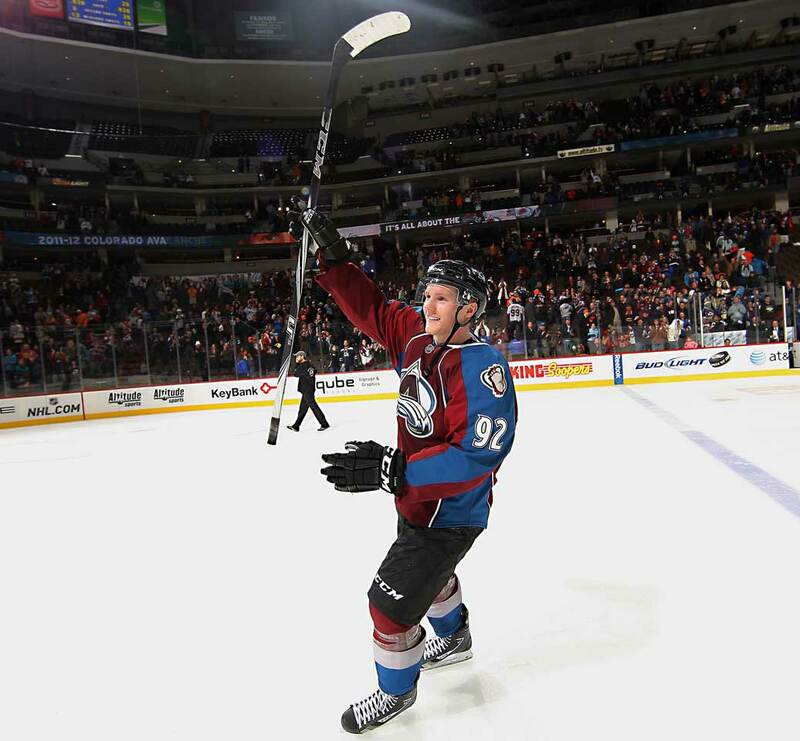 The Avs then made him the youngest player in NHL history to wear the C.
From Sidney Crosby’s hometown of Cole Harbour, Nova Scotia, MacKinnon was the first top pick out of the QMJHL since Crosby in 2005. 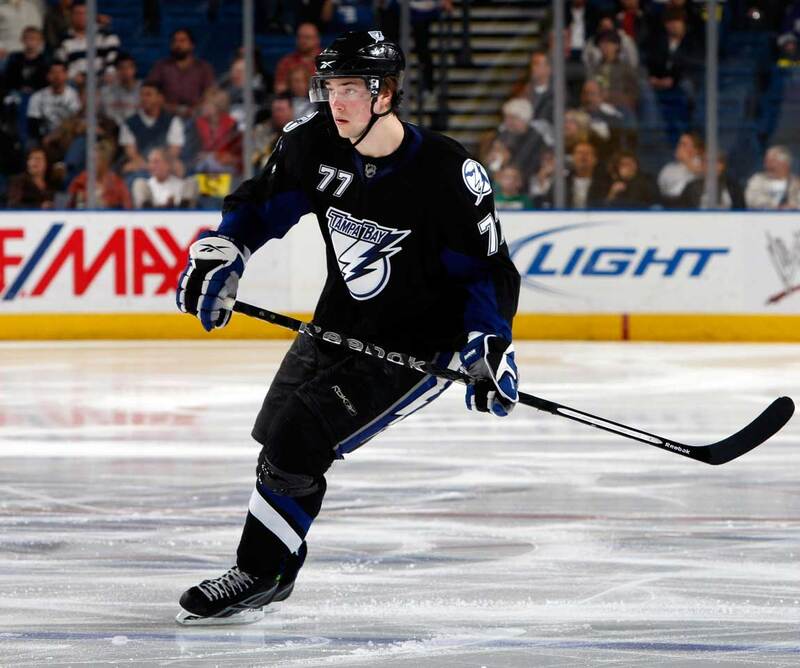 Playing wing and center, this skilled scorer with great hands and solid two-way game won the 2014 Calder with a 24-39-63, +20 season, beating out two of Tampa Bay’s Triplets: Ondrej Palat (22) and Tyler Johnson (23). But at 19, he suffered a sophomore slump and was sidelined by a broken foot, his production declining to 14-24-38, -7. The celebrated son of ex-NBA player Popeye Jones looked like the possible No. 1 pick of 2013 before falling to No. 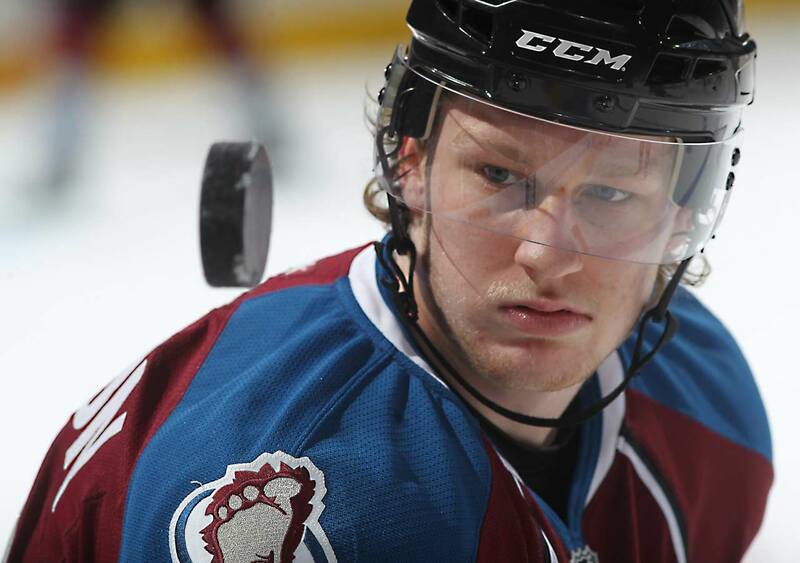 4 behind Nathan MacKinnon (Colorado), Aleksander Barkov (Florida) and Jonathan Drouin (Tampa Bay). 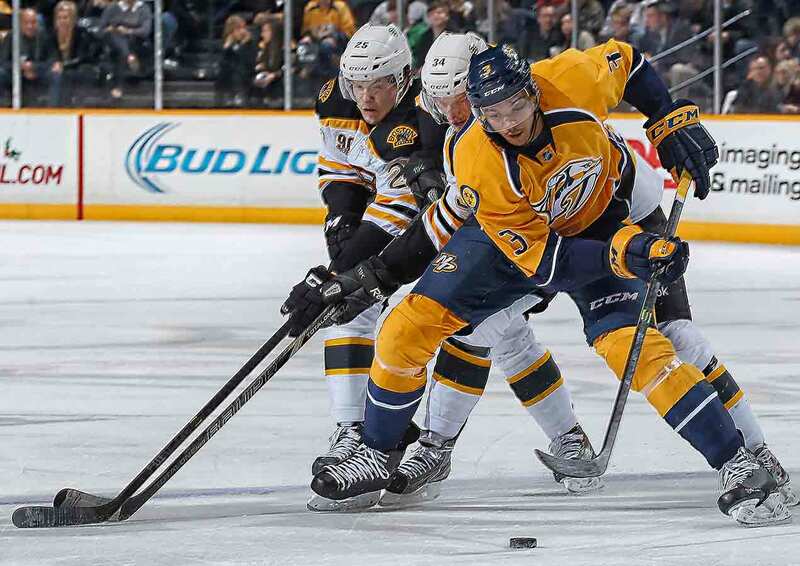 A big (6’ 4’, 205), athletic blueliner, Jones went 6-19-25, -23 as a rookie while adjusting to his difficult position at the NHL level, earning 15 Calder votes (11th). 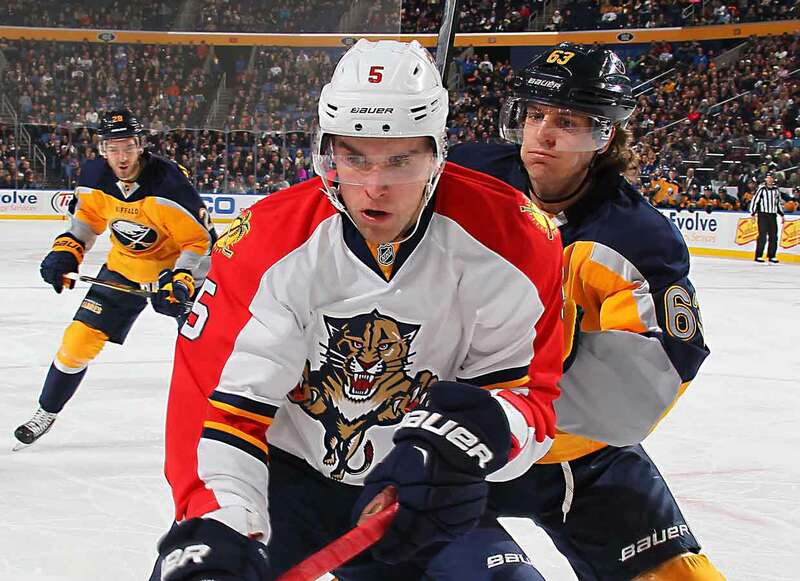 The second player to be given “exceptional” status by the OHL, and second defenseman since 1996 to be the NHL’s top pick, the uncannily mature Ekblad made a seamless transition, winning the Calder with 12-27-39, +12 rookie season. 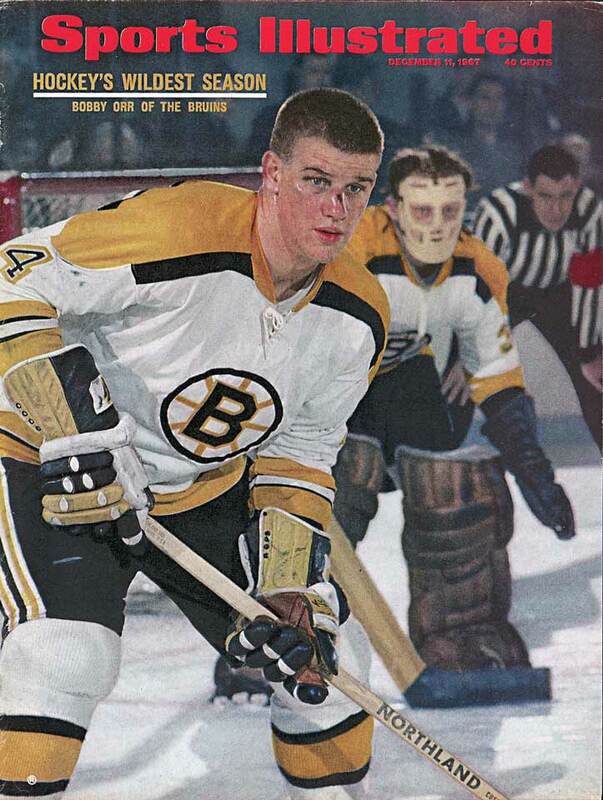 His 39 points were two shy of Bobby Orr’s NHL record for an 18-year-old blueliner and his offensive totals were all team rookie marks.